The Index opened strong and stayed positive throughout the entire session of trade with each small drop being bought with ease and closed near the highs at 8331.95, huge gain of 150.45 points. The broader market was strong, with 1204 advances to 324 declines. Developing Range as per Option Table is 8100-8600. Call option 8300-9000 added huge 37.05 lacs OI with short covering seen at 8200 and below strike prices. 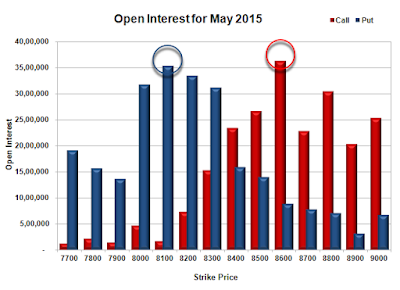 Put option 8400-7700 added huge 46.40 lacs OI with short covering seen at 8500 and above strike prices. 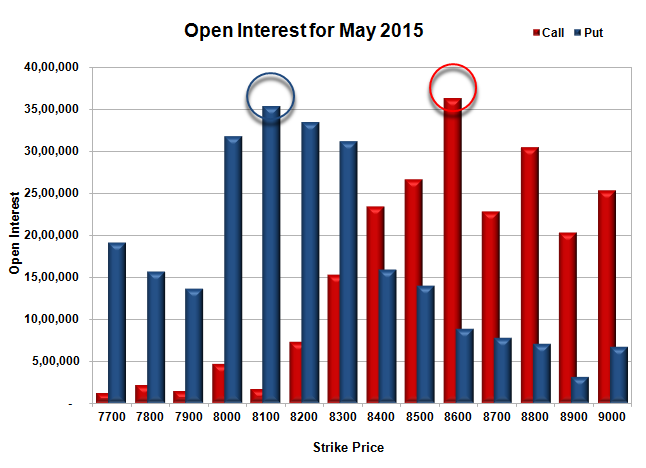 Nifty Open Interest is at 1,83,38,950 down by 5,85,500, with increase in price, most probably huge short covering. 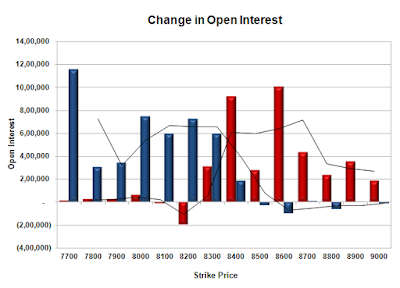 Bank Nifty Open Interest is at 16,95,625 up by 87,975, with increase in price, most probably huge long build-up. FII’s sold 3.47 lacs Futures, which includes 3217 contracts long liquidation and 10668 contracts short build-up, with increase in net OI by 7451 contracts (includes 85673 longs to 99558 shorts for the day) and the Average Price comes to 8740.42. 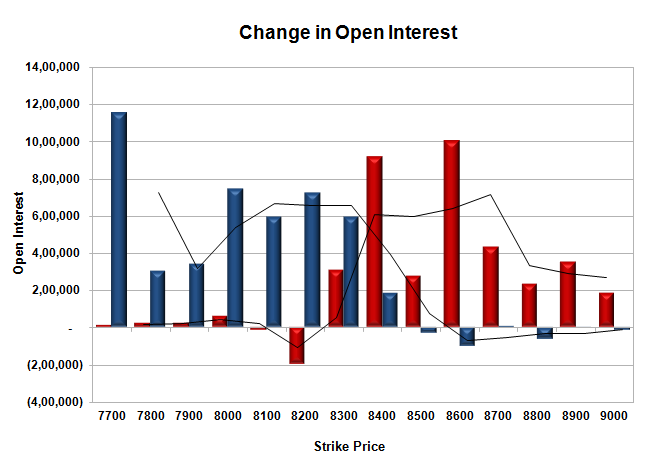 FII’s Index future open contract as on date is 379185 Longs to 181365 Shorts, net long 197820 down by 13885 contracts. Initial support at 8300, with OI of 31.22 lacs and below that at 8200 with OI of 33.44 lacs. Initial resistance at 8400, with huge OI addition of 9.14 lacs and above that at 8500 with OI of 26.69 lacs. 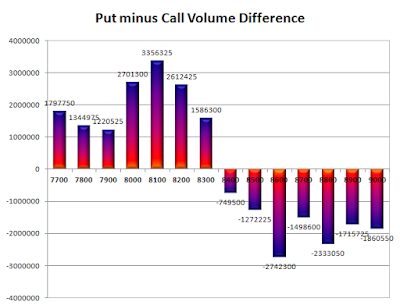 Day Range as per Option Table is 8218 - 8403 and as per VIX is 8256 - 8407 with 8299 as the Pivot.